Grab a pack of organic whole oats (unprocessed/un-toasted) blended with sun-dried, un-sulphured fruits and unprocessed seeds which are packed with nutrients and vitamins. It is high in fiber and has no sugar and additives. As natural as it can be! It is not toasted at all hence makes daily intake possible without heatiness. 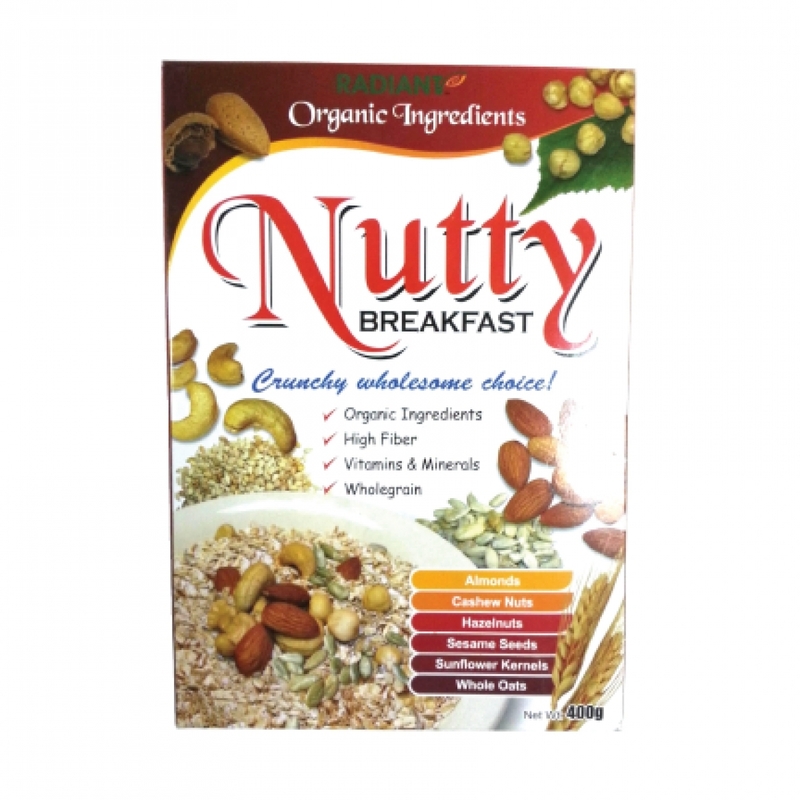 Crunchy and wholesome with organic oats, organic sesame seeds, organic sunflower kernels and natural nuts such as cashew nuts, almonds and hazelnuts. Pour hot water or any hot milk (soy milk, rice milk or oat milk to 4-5 tablespoons of breakfast cereal in a bowl). Optional: Lightly sweeten with honey, agave nectar or molasses of your choice.